For basic users and those with less tech knowledge, transferring data (such as contacts, text messages, photos, etc.) from one phone to another might be a difficult task. But that could be a lot easier using a program such as Wondershare MobileTrans which is a fast solution for data transfer between phones. Syncing across devices is a lot easier when, for instance, an online account is used to save contacts. But without one, this process could be very frustrating and complicated especially when the platforms are different, such as iOS and Android. 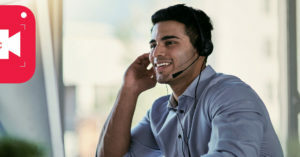 Data backup & restore – backups could be created by transferring files and data to computer or any other supported device. 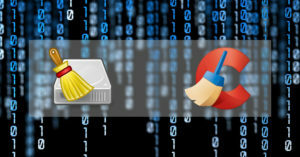 These backup files could be used later to retrieve data. Transferring data between phones – data and files could easily be moved between supported devices with just a few clicks in the program. WinPhone, iOS, and Android are compatible with it. To buy the software, users have a few options. The main two licenses are Personal license for $39.95 and Business license for $499. Personal license, which is a lifetime subscription, is suitable for those requiring the MobileTrans software for personal usages, as the name implies. It supports up to 5 devices and could be installed on 1 computer. On the other hand, the Business license is usable for unlimited devices. But the subscription isn’t lifetime like the Personal license and should be renewed every year. MobileTrans with Business license could also be installed only on one computer. 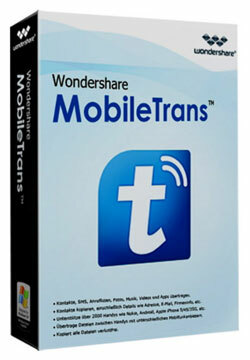 Wondershare MobileTrans has both PC (Windows 10 is also supported) and Mac OS X (Mac 10.11 is also supported) versions. Subscription prices are the same no matter which operating system is intended. Please note that as with other Wondershare products this phone transfer program could also be downloaded and tried for free. Apple: iPhone 6, iPhone 6 Plus, iPhone 6s, iPhone 6s Plus, iPhone SE, iPhone 5, iPhone 5c, iPhone 5s, iPhone 4, iPhone 4s, iPod Touch 4, iPod Touch 5, iPad Mini, iPad Air, iPad Pro, etc. Samsung: Samsung Galaxy Note 4, Samsung Galaxy Note 5, Samsung Galaxy S5, Samsung Galaxy S6, Samsung Galaxy S6 Edge, Samsung Galaxy S7, Samsung Galaxy S7 Edge, etc. Sony: Sony C2105 Xperia L, Sony Ericsson ST25i Xperia U, Sony Ericsson C6602 Xperia Z, Sony Ericsson C6603 Xperia Z, Sony ST26i Xperia J, Sony Ericsson LT18i Xperia Arc, Sony Ericsson LT26i Xperia Arc HD, Sony Xperia Z2, etc. HTC: HTC ONE V, HTC Desire HD, HTC Wildfire, HTC Desire HD A9191, HTC Desire, HTC Wildfire S A510E, HTC One X, HTC One (M8), HTC 10, etc.